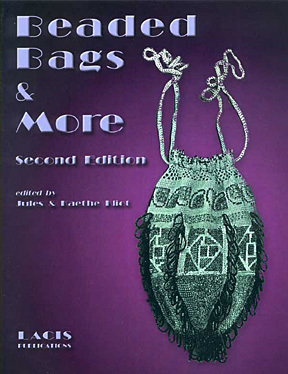 This is a wonderful 146 paged book filled with bead crochet, bead knitting, and traditional beadwork patterns for beaded bags, some jewelry, a few tassels, 2 lamp shades, and several beaded Victorian ornamental pieces for clothing decoration. 8.5" by 11" softcover. Second Edition.